stella Sep 30 2018 1:32 am What a talented sweetheart! And she's so sweet and pretty too! 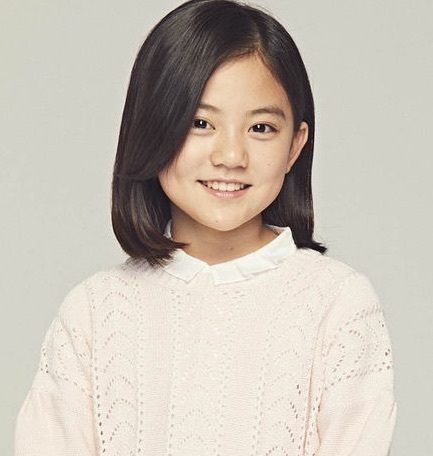 Can't wait to see her act in more dramas, and looking forward to her growing up to be a really talented actress! NTR Sep 27 2018 2:04 pm What an adorable little girl ! Melanie Sep 06 2018 2:16 pm She made me cry so much and she's so amazing. I love her. Czyra Aug 01 2018 7:09 am She is the only kdrama actress who can make me feel so much even though she’s just beginning to be recognized, I’m a fan!!! Lexie Apr 16 2017 6:38 pm Is she the baby from Three Dads, One Mom? The baby definitely looks like her. aya._.kappa Mar 22 2017 3:13 pm She's so adorable! I love Oh My Geum Bi (: Wasn't she also the corn man's daughter in a movie called Wonderful Nightmare? anon Jan 13 2017 5:18 am Does anybody know if she is the girl in Episode 14 of Divorce Lawyer in Love? Pat Jan 10 2017 1:11 am This child is an actress. Her facial expressions are so intense you can see what she is thinking. She must be a very old soul. soy carla Dec 11 2016 8:09 pm This little girl is amazing! love her intensity and does an excellent job at internalizing. Will sure be her follower coz I am her fan from now on. Setayesh Nov 21 2016 2:01 pm Wow......she's cute as like as my daughter.Heo Jung-Eun.....I like you. flower Nov 17 2016 6:07 am Fighting, you are doing so good!! sisi si Sep 29 2016 1:17 pm Oh my god! Her acting is really amazing. Wish you all the best Heo Jung-Eun! Iris Sep 22 2016 11:27 pm Her acting skill in "Love in the moonlight" is extremely amazing. She is so cute and pretty. I hope she will grow as a famous actress in the future. Fighting kiddo! Shiraiishi Sep 19 2016 11:15 pm She acted really really really really good in Love in The Moonlight!!!!!! she's such a cutie!! i think she will be like Yoo Jung in the future :D Fighting!!!! JJ Apr 20 2016 6:19 am her acting in My lawyer, Mr Jo was priceless!! she will be one of best actress when she grow up!! Oon Mar 11 2016 2:20 am She's so cute, but holy crap she looks exactly like Eddie Peng. Like she could be his daughter. mica Jun 22 2015 3:01 am she's so cute and i like her acting!! Viki Apr 22 2015 9:53 pm The cutest girl ever in dramas! She is so cute and great in Hwajung drama. dooli Mar 21 2014 12:47 am this child is so clever..she is good in acting...i like this cute girl..i watch her in shining romance.